Ken's Auto Repair of Cape Coral opened its doors as an Auto Electrical and Marine shop expanding to a full auto repair shop in 1980. Ken's is a full service repair shop specializing in foreign and domestic cars. 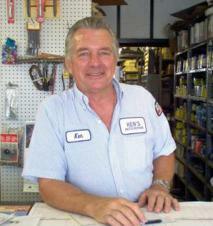 Ken's has been a family owned and operated business since 1973. We Stock More Than 150 Marine Starters and Alternators Check Our Prices Before You Buy!